Using the most basic of materials, you can make great realistic (or non realistic!) paintings from life or from photo reference. Oil painting doesn’t have to be intimidating or complicated. Day 1 we will go over our materials. What they are made of, what they do, why and when to use them, etc. We will also use our first canvas to explore some basic exercises to explore paint application, value, transparency, etc. 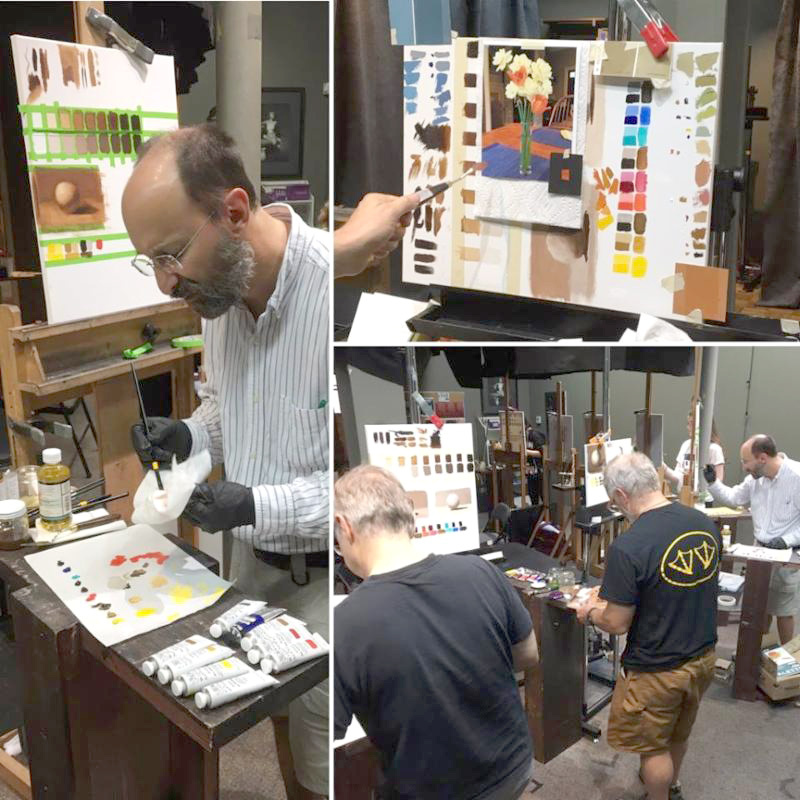 Day 2 we will further discuss value, and also explore our paints and their personalities, color space, and begin to develop a thought process for mixing accurate colors. Day 3 we will create a color study from a photo or life using what we learned the past 2 days. Throughout all three days we will reinforce and reiterate the fundamentals of good realist painting and things to think about even if you are working abstractly. You will leave this short workshop with two canvases that will act as a great reference for your future masterpieces.